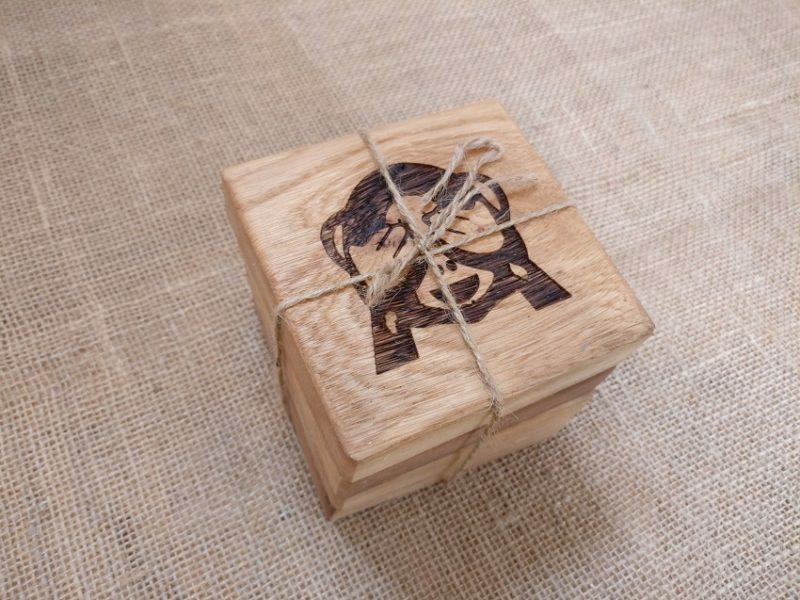 Free Postage & Packaging to Mainland UK. Highlands and Islands will receive a small surcharge due to increased delivery costs. Four handcrafted oak table coasters, created from kiln-dried, solid French Oak. 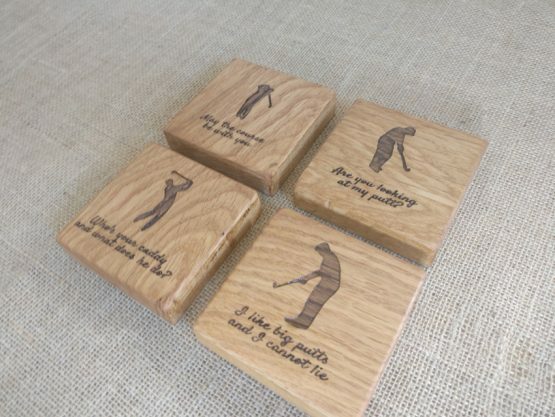 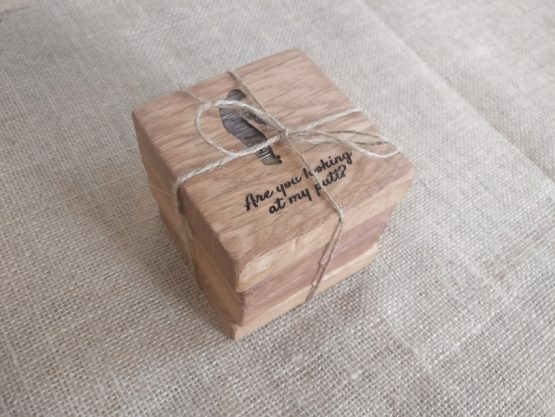 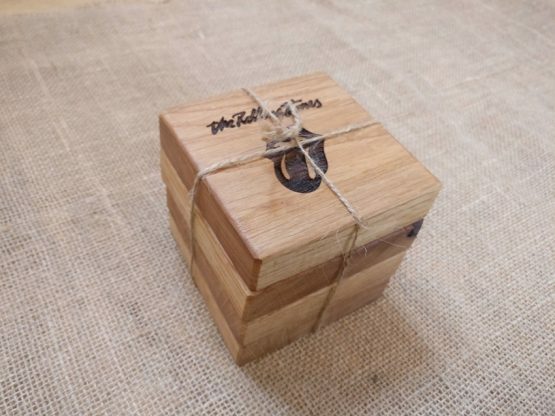 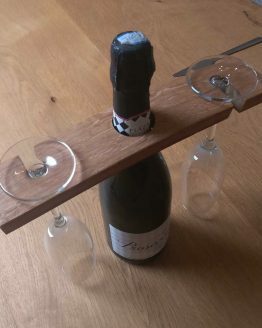 Our coasters provide a quality and rustic look to your living space. 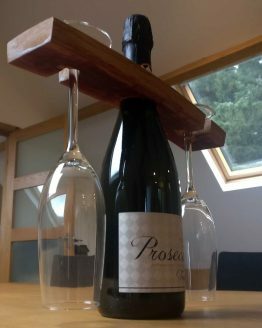 Able to be personalised using our laser engraving machine. 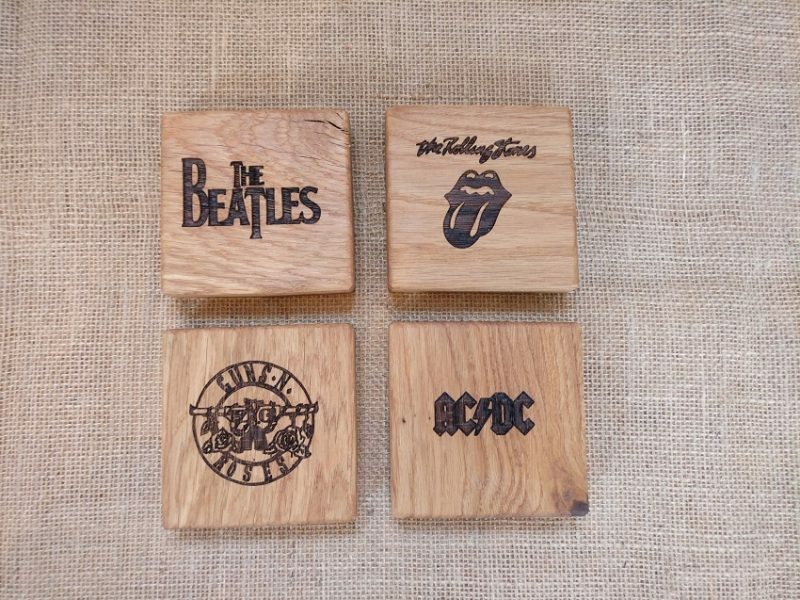 Got your own theme you want to be engraved such as your favourite band / favourite football team or favourite car? 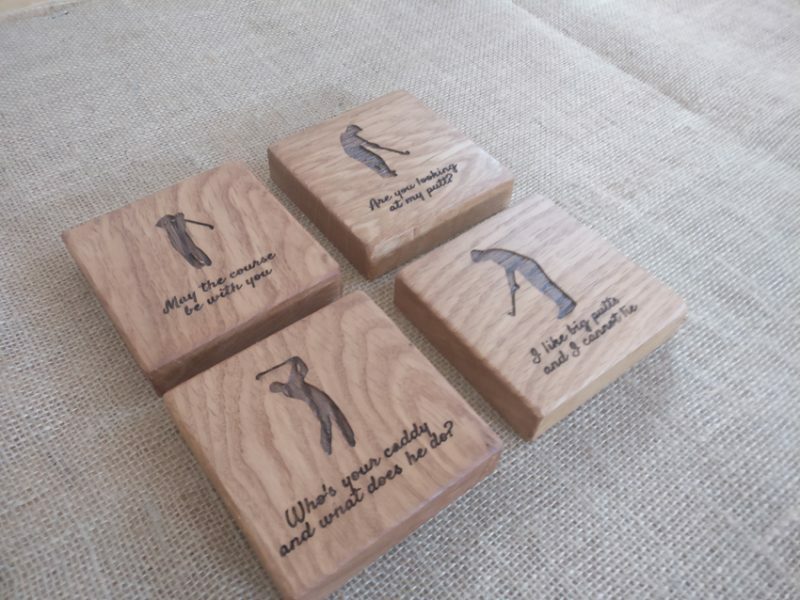 Upload your images or get in touch to arrange your personalised coasters. 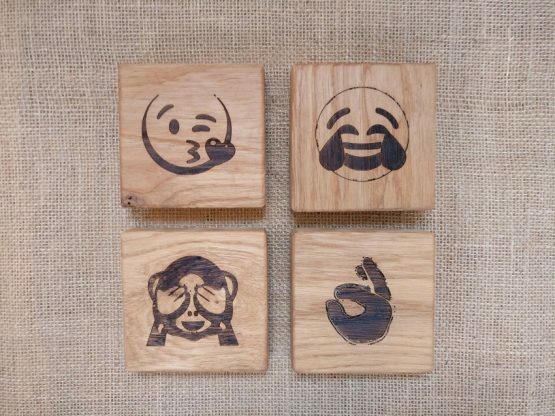 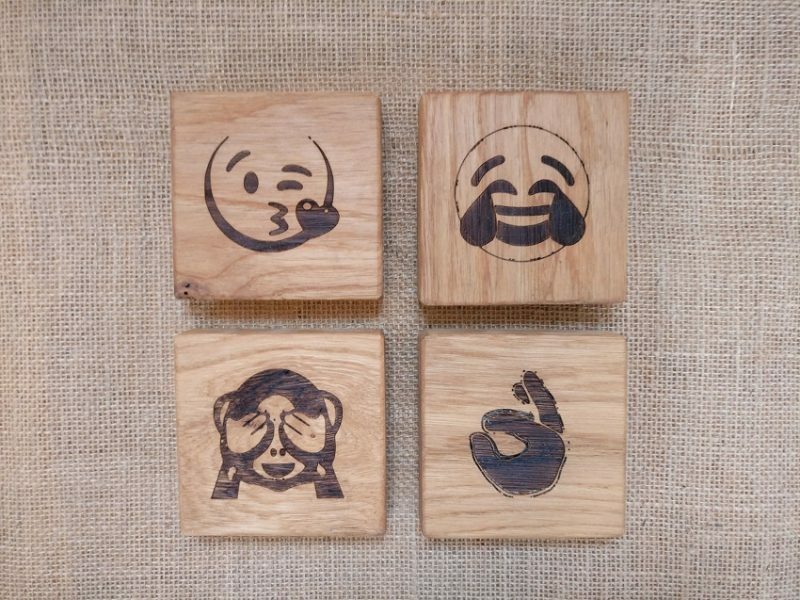 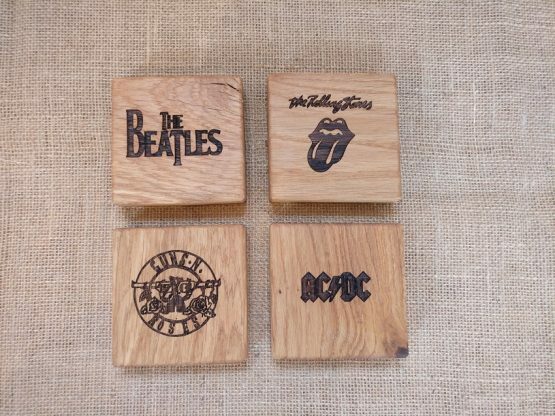 Classic rock bands or Emojis pre-designed coasters.